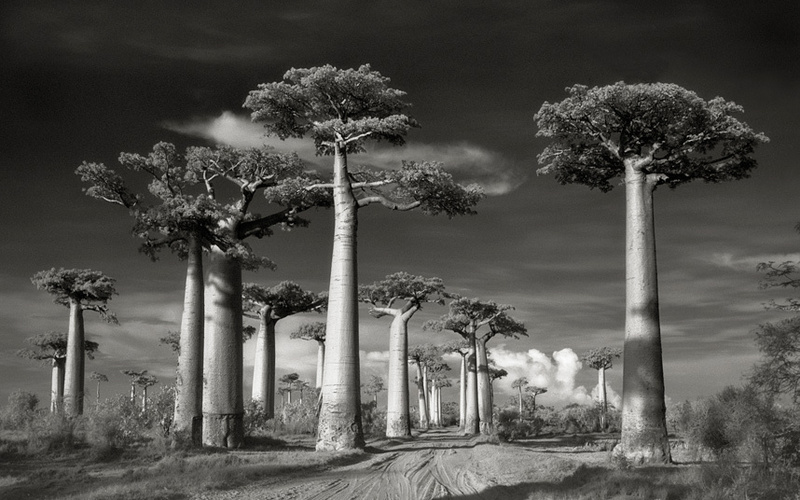 Avenue of the Baobabs. Elegant in shape and form, these strange and magnificent baobabs seem to rise effortlessly to heights of 98 feet, found only on the island of Madagascar thought to be around 200 year's old. 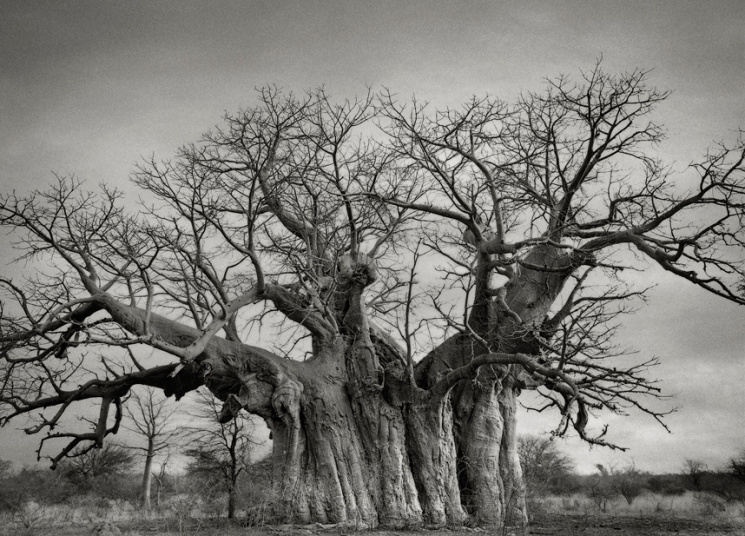 Bufflesdrift Baobab 2013: This massive tree near Lephalale, Limpopo, is one of South Africa's five biggest baobab trees and is over 800 year's old. 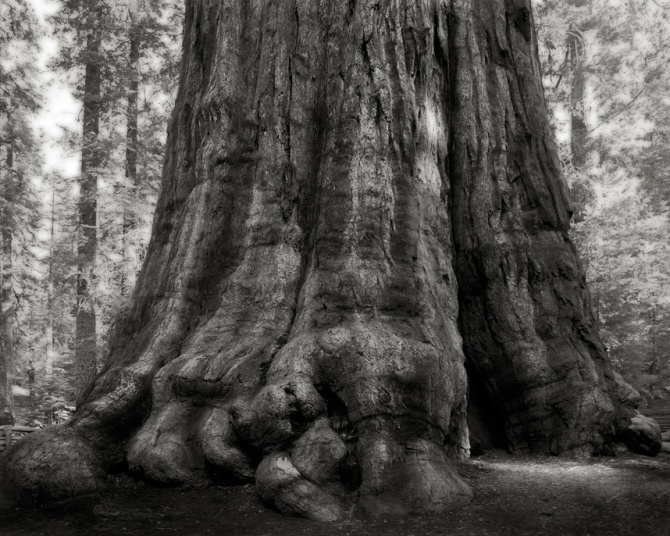 General Sherman, Sierra Nevada, California, 2006.Dominating the Sequoia National Park in California, this giant sequoia is named after General William T. Sherman, a Union commander in the American Civil War. The fire-resistant trunk measures 85 feet at the base, and weighs 1,500 tons. Each year the tree adds enough new wood to make a 60 foot tree. A monument within the forest, this is considered to be the largest living tree in the world, and is around 2,500 years old. 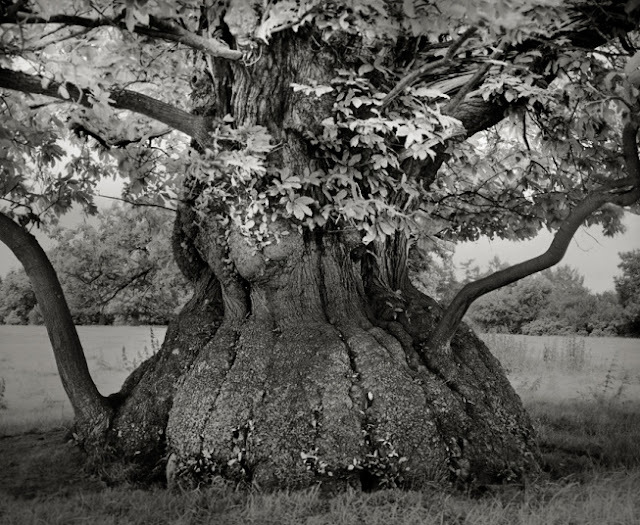 The Easebourne Oak. Queen Elizabeth I sheltered under this tree on a visit to Midhurst in 1591 on the Cowdray Estate at Easebourne, north of Midhurst. The major trees in this area have remained virtually untouched since 1532 when the first 600 acres of Cowdray Park were managed. 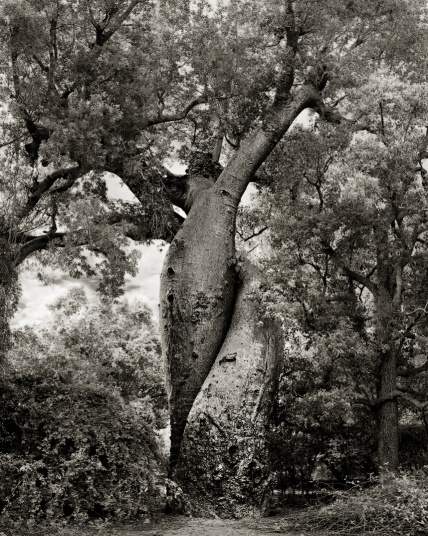 The Ifaty Teapot, Toliara, Madagascar 2006.Sparse branches that grow only at the trees top and look more like roots than a canopy give the baobab its nickname the “upside-down tree.” The girth of the cylindrical trunk is approximately 45 feet in diameter. 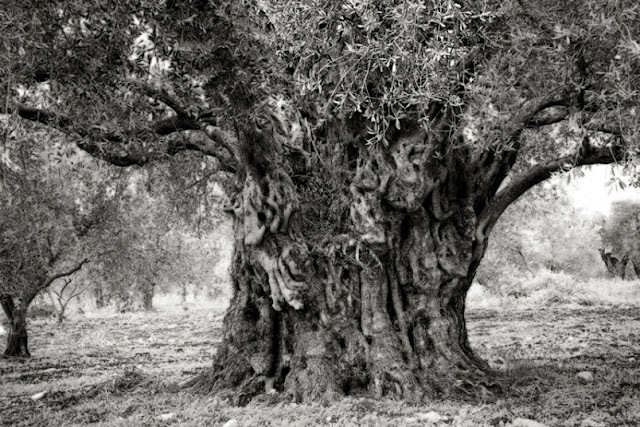 The tree is thought to be 1,200 years old, and has the ability to store more than 31,000 gallons of water. Diksom Forest, Heart of the Dragon, Socotra, Yemen, 2010. The trees live up to 500 years. When the trunk is cut, which is allowed twice a year, a deep red sap, highly prized from ancient times, oozes from the tree. Zalman olive tree, one of the oldest trees in Israel, located in the northern Galilee region, with its deeply gnarled fat trunk and its spreading bouquet of fruit-laden branches. Estimated to be 1,000's of years old. Croft chestnut: This ancient tree in the grounds of Croft Castle in the Welsh Marches is between 400 and 500 years old. 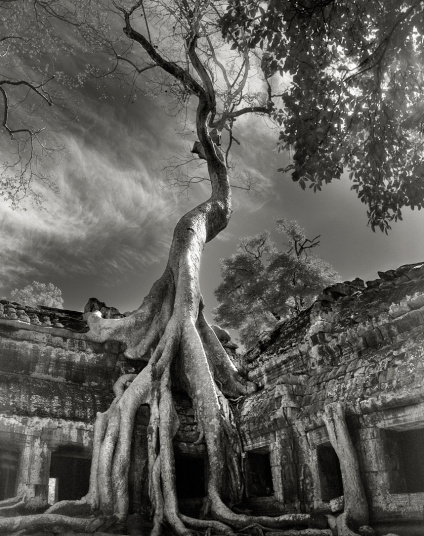 Strangler fig, Rilke's Bayon. Siem Reap, Cambodia 2007.The temples of Angkor Wat in Cambodia represent one of man's most astonishing and enduring architectural achievements. Today, the temples exist in a neglected, semi-ruined state. The religious monuments have been left as they were found, preserved as an example of what an untamed tropical forest will do to an architectural monument when human hands are withdrawn. As a result, Ta Prohm is full of giant banyan and silk-cotton trees growing up out of the ruins–some of them over 400 years old! 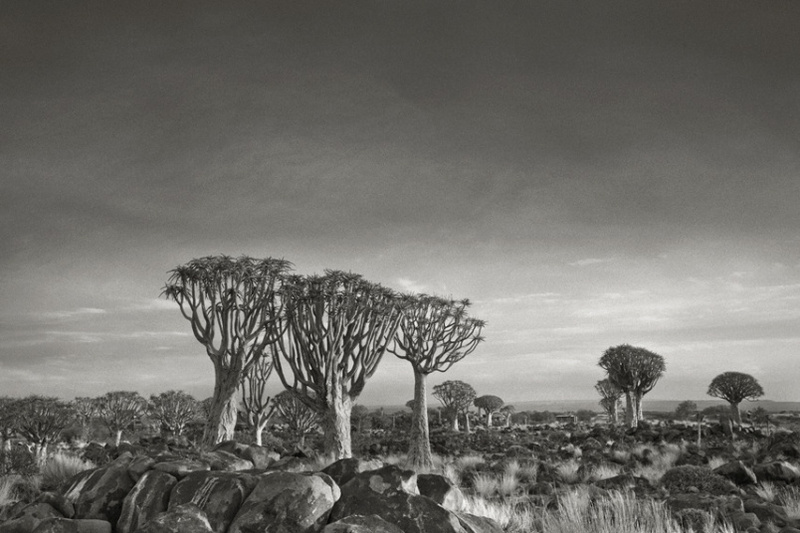 Quiver Trees at dusk Namibia. The quiver tree is an aloe (Aloe Dichotoma) and in the first 20 years of its development it does not grow much bigger as the normal aloe. Then the aloe starts gaining height, forms a stem and branches. The branches continously split to form two shoots thus the crutches always have two branches. Hence the latin name „Dichotoma“. The aloes characteristic yellow flowers occur for first time after 20 to 30 years. After a maximum height of ten meters the growth of the aloe plant comes to an end. 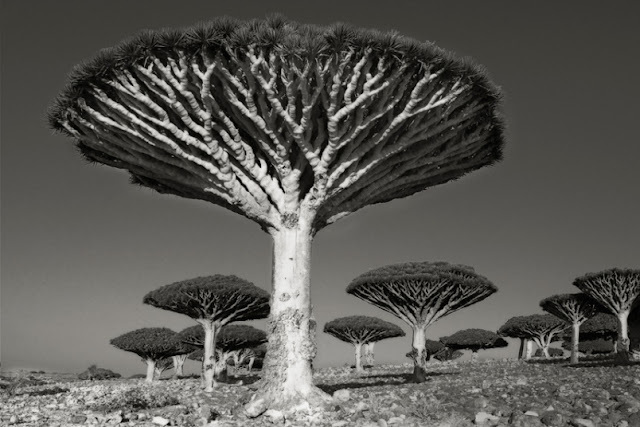 After a total of 300 year of maximum lifespan the Quiver Tree has had enough of its earthly existence. The Lovers. 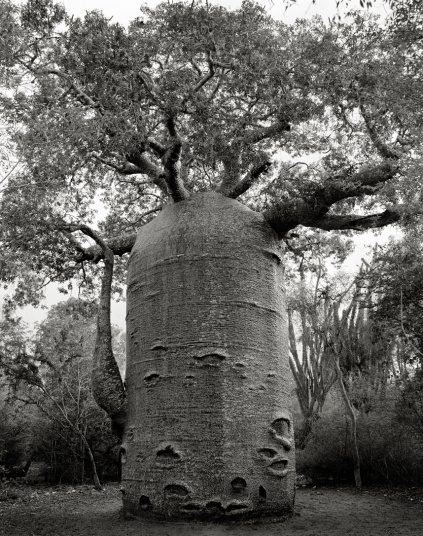 Baobab, Morondava, Madagascar, 2006. Possibly 800 years old. Local legend tells of a love story with an unfortunate beginning that finally resolves itself with this embracing pair, bound together for all eternity. 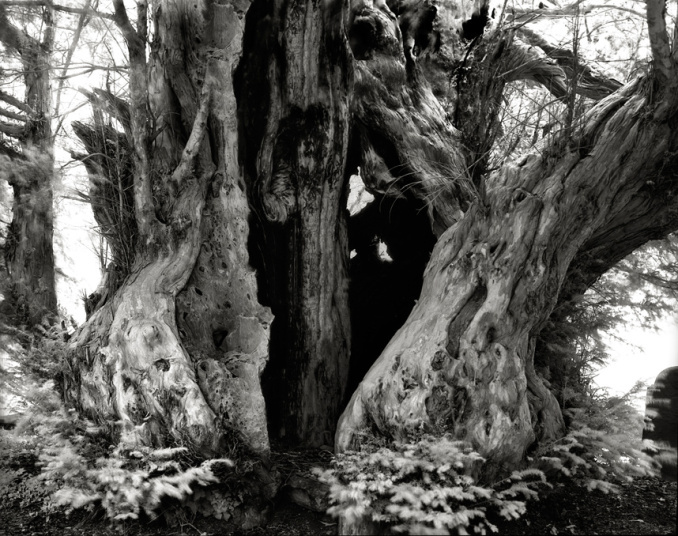 The Linton Yew Tree, Hertfordshire. 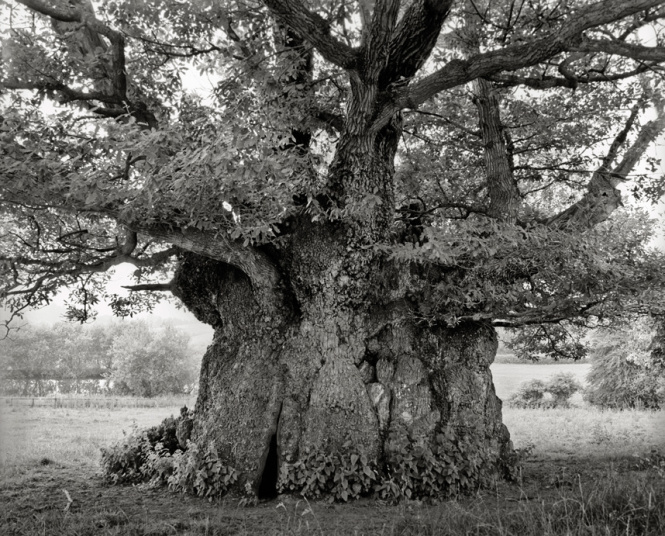 Some claim that the massive Linton Yew of Herefordshire, is actually the oldest tree in England. Her age, estimated to be 4,000 years old.